On an autumn day in 1932, Pearl Buck, born in China of missionary parents and herself a famous missionary there, strode to the podium in the ballroom of New York City's Hotel Astor to address 2,000 Presbyterian women. Buck had just received the Pulitzer Prize for her novel The Good Earth. Now she addressed the topic “Is There a Case for Foreign Missions?” Her answer was technically “yes,” but it was so qualified and unenthusiastic, and her criticisms of missionaries for being arrogant, ignorant, and narrow-minded were so trenchant, that she left her audience stunned. This event ignited a firestorm of agitated comment by both critics and defenders of foreign missions in almost all quarters of American Protestantism. It was a sign of the times. Another sign of the times was the publication of Rethinking Missions: A Laymen's Inquiry After One Hundred Years, commissioned by John D. Rockefeller Jr., the foremost individual financial supporter of missions in the U.S. Widely circulated and read, the Laymen's Report advocated an overhaul of missionary thinking, especially on such questions as the exclusivity of Christianity. Also in 1932-33, Robert Service, the former UC-Berkeley track star who had pioneered the establishment of YMCAs in western China, was unexpectedly sacked. In the midst of the Great Depression and dwindling contributions, the YMCA and other well-established missions in China had a massive financial crunch in the early 1930s. Their expensive institution-heavy facilities, especially hospitals, schools, and colleges, swamped the mission budgets. Many missionaries headed home. The missions movement was clearly on the defensive. Despite these negative portents, however, there were still enthusiastic young people answering the “call” to China. The China Inland Mission (CIM), that remarkable multinational creation of J. Hudson Taylor's, continued the dramatic growth it had enjoyed since the late 1800s. Its “faith mission” principles (no denominational or other regular financial support) managed to adapt to the new climate of scarcity. Even as other missions were shrinking because of discouragement or shrinking budgets, the CIM launched a successful campaign to add 200 missionaries. David Adeney, a young Cambridge University student, learned of this campaign for “the 200” and felt a strong call to China. He came to north central China in 1934 and found his niche working with students, which he did until he left in 1950. He established ties which remained intact though dormant for more than 30 years, and which were renewed in heartwarming fashion when Adeney returned to China in the 1980s. In addition to signs of life in theologically conservative missions like CIM, a wave of Pentecostal revivalism was sweeping through some parts of China. A traveling Norwegian evangelist, Marie Monsen, was the catalyst for the famous “Shantung Revival.” Participants saw tongues of fire and heard roaring winds, and some even fell to the ground half-conscious. Pentecostalism, with its stress on the “gifts of the spirit,” including prophecy, divine healing, and speaking in tongues, also fed the growth of most of the independent churches that had begun organizing by the 1920s. In these years it could be dangerous to be a Christian in China, whether foreign or Chinese. A few months after David Adeney's arrival in 1934, one of the most dramatic incidents of martyrdom in China missions history occurred. John and Betty Stam, an attractive young couple who were products of Moody Bible Institute in Chicago and had come to China with the CIM a couple of years before, were stationed in a small city in Anhui province (central China). When Communist troops captured the city in late 1934, they beheaded the Stams and killed some local Christians who pleaded for the foreigners' lives, but the Stams' three-month-old child was safely taken to a nearby mission station. This story gained much publicity and motivated many young people to go to the mission field. The effect was much the same as what happened after the death of Yale graduate Horace Pitkin in the Boxer Uprising of 1900. Pitkin died along with more than 10 other foreign missionaries—Presbyterian, Congregational, and CIM—in Baoding, not far from Beijing. His death spurred a surge in mission applicants, many from East Coast colleges, and the establishment of the Yale China Mission in the early 1900s. This gave Christian missions in China the largest opportunity they had ever had—truly a “Golden Age.” Mission schools suddenly had high prestige and waiting lists. Members of the elite class became Christians. Rates of growth skyrocketed, especially for Protestants. After the revolution which overthrew the feeble Manchu dynasty in 1911-1912, the provisional president of the young Republic was Sun Yat-sen, a baptized Christian. In 1913, the Republic's second president asked the foreign missionary community in China to pray for the nation. Protestant missionary numbers soared from more than 1,300 in 1905 to 8,000 in 1925. Many Christians were confident that events were moving inexorably towards the “Christianization” of China. It was not to be. The Golden Age lasted less than two decades, until the mid-1920s. What went wrong? During that time, practically all missions in China failed to sufficiently cultivate a Chinese leadership in their mission structures and to permit that leadership to shepherd the flock into independent and self-supporting local churches. 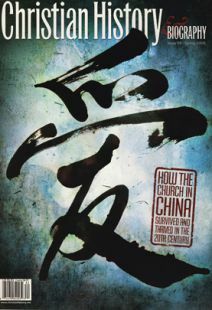 The rhetoric of moving from (foreign) mission to (Chinese) church was always present, but it was mainly hollow. At times it appeared that the foreign mission establishment had given way to Chinese leadership. The national missionary conference of 1907 had only half a dozen Chinese delegates out of more than a thousand; the next major conference in 1924 was called the “Christian” (not “missionary”) conference, and more than half the delegates were Chinese. But looks were misleading. It was at best a partnership, and an imbalanced one at that. In almost all cases, missionaries still controlled the purse-strings. The result was that the best Chinese leaders nurtured by the Protestants—such as Cheng Jingyi, respected head of the Church of Christ in China, and Yu Richang (David Z. T. Yui), gifted national secretary of the YMCA—never shed the image of being subordinate to foreign missionaries. The Protestants put Chinese in leadership roles where they at least had the appearance of responsibility and power, even if that power was limited by close association with foreign missions. The Roman Catholic Church in China suffered even more from tokenism. The Catholic hierarchies in China had for decades permitted (and closely supervised) the training of Chinese priests, who were given mundane tasks and little responsibility. But no Chinese bishops were consecrated until 1926, after a couple of maverick European missionary priests, in particular Fr. Vincent Lebbe, convinced the pope to break the stranglehold that the European hierarchy had over the Chinese clergy. Even so, Chinese priests still continued to be largely relegated to secondary roles in the local parishes, and the new Chinese bishops were shunted into subsidiary functions. There was almost certainly no conscious conspiracy among foreign missionaries to deprive Chinese leaders of the means of emerging and flourishing. There was often respect, genuine friendship, and collegial cooperation between missionaries and Chinese priests and pastors. But in the new political atmosphere that was brewing after 1920 in China, such ties were fatally compromising to the Chinese involved. In the 1920s, popular resentment against foreigners' legal privileges in China, which dated back to treaties signed by the Manchu government in the mid-1800s, boiled over. This popular nationalism fueled the rapid rise of two major political parties that have dominated Chinese politics from the 1920s to the present: the Kuomintang (the Nationalists) and the Communists, which became bitter rivals and then mortal enemies. The leader of the Nationalists was Chiang Kai-shek, himself a Christian convert and married to Soong Mei–ling, the daughter of one of China's most prominent Christian families. Under Chiang, there were several other Christians in government positions and polite, even cordial relations with the foreign mission establishment. But even Chiang agreed that foreign privileges should be eliminated as soon as possible, especially immunity from Chinese laws. These attitudes, which pervaded the Communist Party, continued strong until the last foreign missionaries were expelled from China in 1951-1952 by the new government. The missionary community, and the mission project as a whole, paid a high price for its failure to distance itself from at least some aspects of Western political, military, and economic power in China. This portrayal of the missionary record may seem unfair to some. Missions had brought many blessings to China. Chinese Christian schools had been the first places where Chinese could receive a modern education, and the first to permit enrollment of girls and to employ women teachers. Missionary hospitals and clinics had saved tens of thousands of lives, and missionary-coordinated famine relief saved hundreds of thousands, if not millions. Missionaries had been leaders in the movements to abolish the opium trade and to end the custom of binding and crippling the feet of young girls as a means of increasing their desirability for marriage. All in all, the missionaries' contribution to the making of modern China was considerable. Though they were reviled and demonized by the new regime after 1949, they are quietly given credit for their accomplishments and warmly welcomed back to visit China today. If missions were anathema to many Chinese, and many Chinese Christians were tainted by their identification with foreign missionaries, how did Christianity enter the Communist period with enough resilience to survive the dark valley of 30 years and to flourish since 1980? After Japan went to war with China in 1937, most missionaries left, but hundreds stayed in “Free China,” beyond Japanese reach, and ministered during the Pacific War. About 1,000 others were interned in camps by the Japanese, where many died, including Eric Liddell of Chariots of Fire fame. Chinese Christians who remained under Japanese rule now suddenly had full responsibility for their churches and fellowships, and many rose to the challenge, developing leadership skills that were later useful under Communism. In the brief period between the Japanese surrender in August 1945 and the Communist victory in 1949, a few thousand missionaries returned (including David Adeney). By this time the hated treaties were gone, and foreigners were under Chinese law. But after the Communists took the upper hand in the civil war and established their new government, they decided in 1951, in the context of the Korean War, to expel all foreign missionaries. Dramatic stories abound about the extrication of the last missionaries from the remote hinterlands of China. Thus ended the foreign missions movement in China, but not the Christian movement. From the 1920s on, there had been another, very healthy development: the growth of independent, wholly Chinese-led movements that had roots deep enough for believers to hold fast when the storms came. By 1949, it is likely that 25% of Chinese Protestants were in these independent churches. They constitute a surprisingly little-known story, with some fascinating personalities. The fiery evangelist John Sung traveled the country and drew huge crowds. Fundamentalist pastor Wang Mingdao (who would have a fateful clash with the new regime in the 1950s) built his own “tabernacle” for services in Beijing in addition to speaking all over China. Watchman Nee was working out his Holy-Spirit–centered theology. Paul Wei, a Beijing cloth dealer, founded the True Jesus Church, which grew explosively. Jing Dianying developed and ruled rural Christian communities of the “Jesus Family,” based on the principles of common ownership and group-directed life. There were important female leaders as well, including Mary Stone. Her Bethel Seminary in Shanghai produced the “Bethel Band” of zealous young musician-evangelists, who spread revival all over China. Resilient groups of believers carried on, both in the missionary-related and the independent churches. The missionaries were flawed but sincere sowers of the seed; it was left to the Chinese Christians to take their faith into the last half of the 20th century and reap a bountiful harvest in the 1980s and beyond. Daniel Bays is professor of history and director of the Asian studies program at Calvin College.